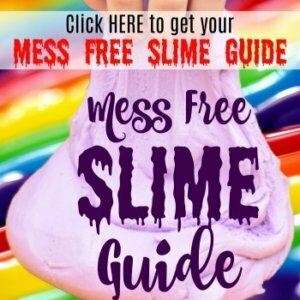 We have been playing with slime for years. 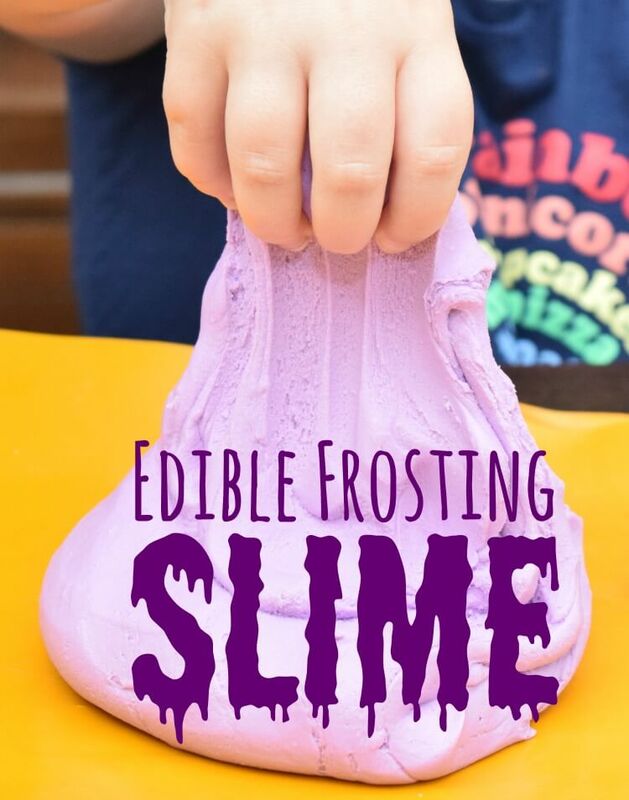 Our favorite kinds of slime are the edible versions. 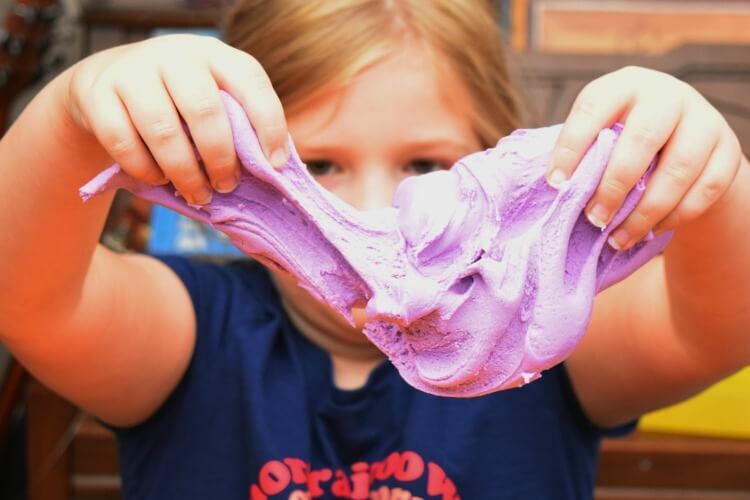 Combine the frosting, milk, and cornstarch. 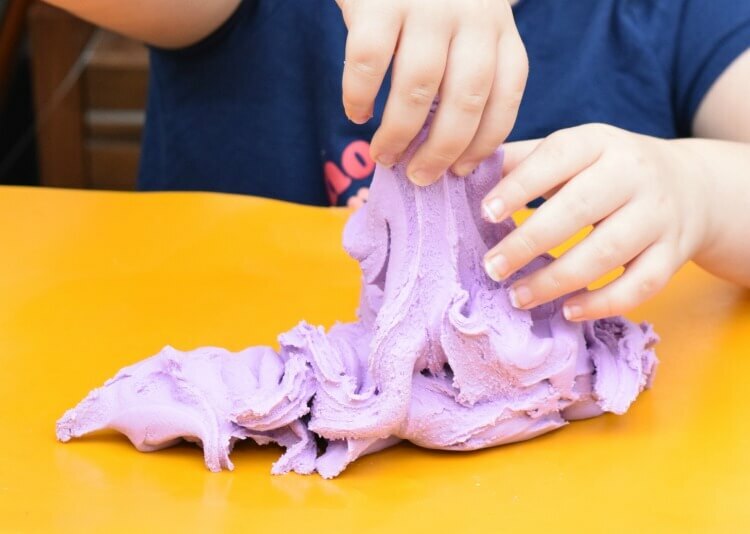 Start with just 1/2 cup of cornstarch, but if the frosting slime looks too much like frosting, then add 1/4 cup at a time until you get the right consistency. Once it’s all mixed, it will look rather crumbly. Just start kneading it together. If after a few kneads, it still seems way too crumbly, then add a drizzle of olive oil. You might need an extra drizzle, but it should immediately knead up into your hands like a slightly runny ball of play dough. 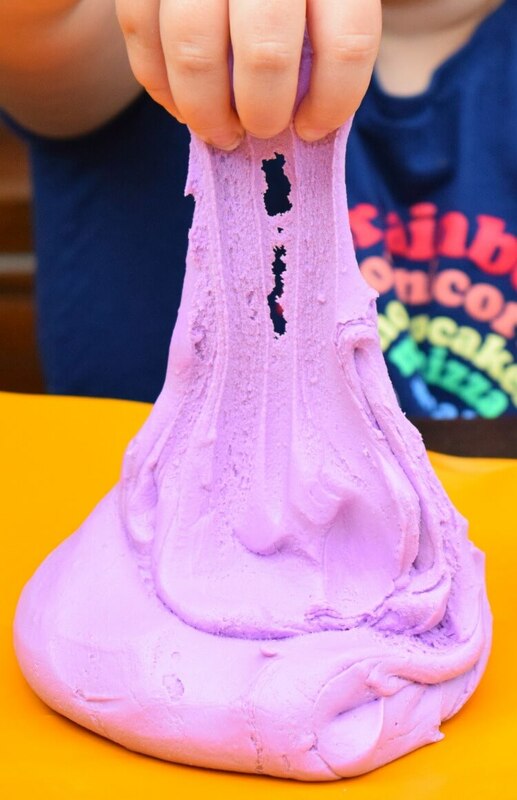 This is when your slime is ready! You can make all kinds of things out of it. Or you can just run your hands through it for some relaxing sensory play. OR you can be like my 8 yr old and take little nibbles of it as you play. It also scoops up nice like ice cream for pretend ice cream play. Have fun!